The Snapshot Press Book Awards are international annual prizes for unpublished book-length collections of haiku, tanka, and other short poetry. The closing date for entries is November 30, 2019. The winners will be announced on January 31, 2020. Award winners have their collections published by Snapshot Press. Previously called The Snapshot Press Collection Competition, past winners include: Roberta Beary, Chuck Brickley, Mark Brooks, Tom Clausen, Ellen Compton, Cherie Hunter Day, Ferris Gilli, Robert Gilliland, Carolyn Hall, paul m., Michael McClintock, Matt Morden, Ron C. Moss, Renée Owen, Thomas Powell, Lynne Rees, George Swede, and Wally Swist. The closing date for entry to the Snapshot Press Book Awards is November 30, 2019. Postal entries must be postmarked on or before the closing date. Your collection should comprise of 60–100 short poems (of any genre). Individual poems can be of any length from 1–25 lines (including any blank lines between stanzas). Prose poems (and haibun) should not exceed 200 words. Poems may be titled or otherwise. Poems may be published or unpublished, but must not have previously appeared as, or in, a published collection (i.e. a single-author book or e-book of any length). Your manuscript should be in English and must be entirely your own work. The title of your collection should appear on every page of the manuscript. Your name should not appear anywhere on the manuscript. A cover sheet should include your name, address, email address, and the title of the collection. Entries may be sent by email or post. 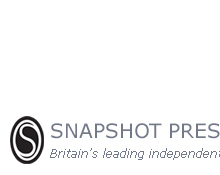 Email entries should be sent to submissions AT snapshotpress.co.uk with the subject line "Book Awards – Your Name" (e.g. Book Awards – Joanne Smith). Electronic manuscripts and cover sheets should be sent as MS Word or PDF files attached to the email, or everything may be sent in the body of the email. Postal entries should be mailed to Snapshot Press, Orchard House, High Lane, Ormskirk, L40 7SL, United Kingdom. Manuscripts sent by post should be printed, typed or written legibly on one side of the paper only. The entry fee for the Snapshot Press Book Awards is £20 or US $30. The entry fee (for both email and postal entries) may be paid online below. Alternatively the entry fee may be sent by post. Please note that we can only accept cheques, postal orders and money orders in sterling; US dollar checks drawn on US banks; and sterling and US banknotes. No other forms of payment will be accepted. Payments should be made payable to Snapshot Press. You may enter as many manuscripts as you wish provided each is accompanied by the entry fee. The results will be announced on this website on January 31, 2020. Award winners will have their collections published by Snapshot Press. Confirmation of receipt will be sent to your email address once both your entry and your entry fee have been received and processed. If you do not have an email address and would like confirmation of receipt please enclose an SAE (with 2 IRCS or 2 $1 bills internationally) marked ‘Book Awards Receipt’. If you would like confirmation of the results please send an SAE (with 2 IRCS or 2 $1 bills internationally) marked ‘Book Awards Results’. We are unable to offer feedback or return manuscripts – please keep copies. Winning authors may be invited, though not obligated, to submit further work for consideration for their book, and will also be consulted on various other matters regarding publication. The judges' decision is final. If, in the judges' opinion, no collection achieves a high enough standard, no Award winner will be chosen. Copyright remains with the authors. Individual poems may be published elsewhere at any time after entry, but Snapshot Press reserves the right to first publication of winning collections. Entry to the Snapshot Press Book Awards is deemed to be acceptance of these terms and conditions.